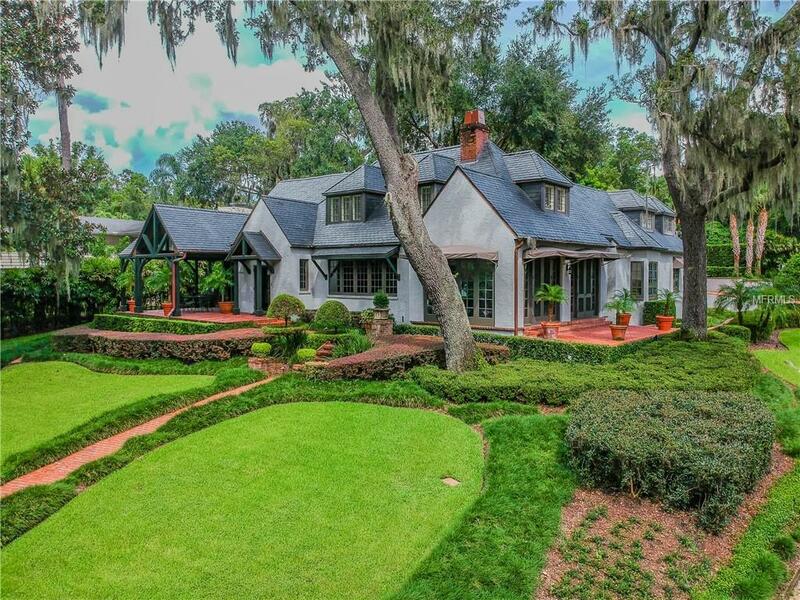 A rare opportunity to own one of Winter Parks most distinguished homes. 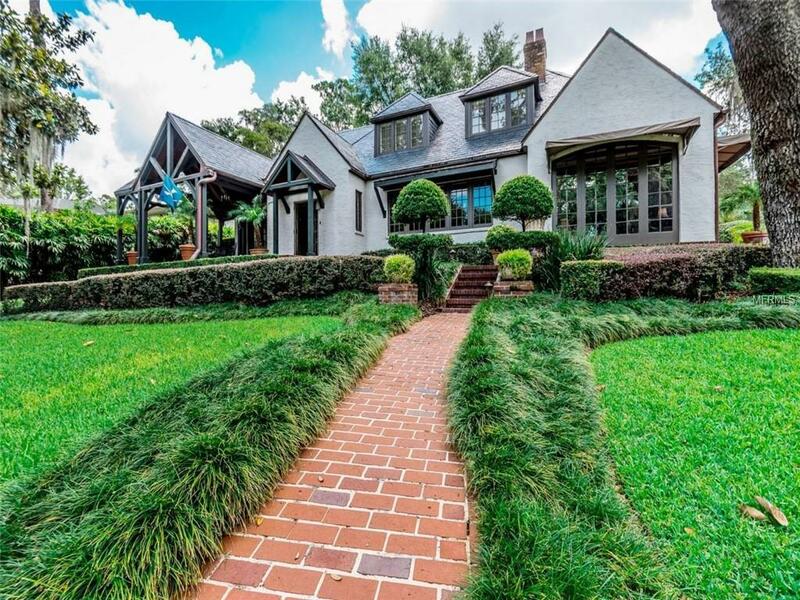 This beautiful, Tudor style, Lakefront home with guest house sits on over 1.2 acres on Lake Sue. 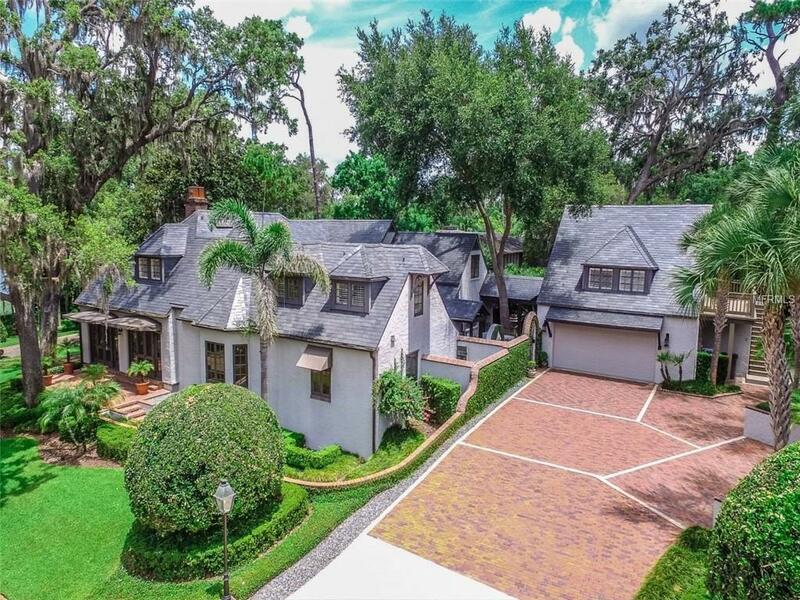 This impeccably well-maintained home is extremely private and wonderful for entertaining. It features a downstairs master suite with separate sitting room, large bath and walk-in closet. Upstairs are three additional bedrooms and baths plus a bonus room. 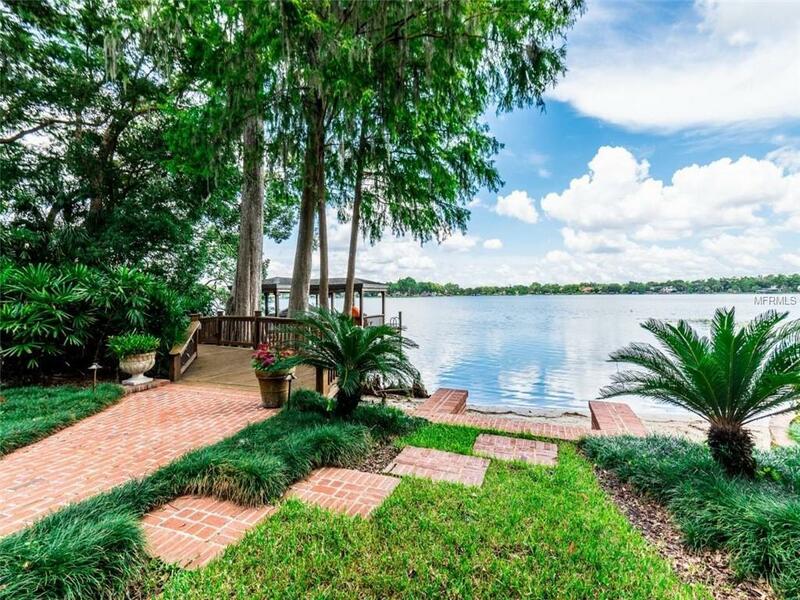 The kitchen/family room leads to a sun-filled dining room and formal living room with views of Lake Sue. Crafted with meticulous attention to detail, there are hand-hewn antique wood beams in the master and pecky cypress ceiling in the basement, wine room, front and back porch. This home has hardwood floors throughout, except the basement which is travertine, as well as 5-inch copper gutters and a gorgeous slate roof. French doors lead out to spacious courtyard, pool and barbecue. This home is surrounded by gorgeously landscaped grounds, and a large guest house with a full kitchen and bath and a two car garage. Enjoy the evening sunsets from your private boat dock and only blocks from Park Avenue, shopping and incredible restaurants.